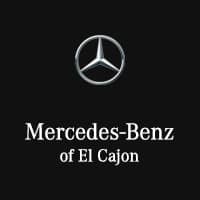 If you’re looking for a Mercedes-Benz service center you can count on for all your luxury car service needs near Chula Vista, then make the trip to Mercedes-Benz of El Cajon, where we have a full team of factory-trained and certified Mercedes-Benz technicians on hand with state-of-the-art diagnostics and repair equipment, as well as a full stock of Mercedes-Benz parts. Check out just some of the services you’ll be able to find at our professional service center below, and then schedule a service appointment with us online! At Mercedes-Benz of El Cajon, we offer comprehensive Mercedes-Benz maintenance and repairs, including Mercedes-Benz Service A and Mercedes-Benz Service B. Your Mercedes-Benz vehicle has been meticulously manufactured and designed. Allow us to keep it that way with our selection of genuine Mercedes-Benz OEM parts. Interested in taking care of your own project? Then order Mercedes-Benz parts and accessories online! Mercedes-Benz of El Cajon truly understands the value of your time. We are proud to provide Express Service. Our service team will get you in, out and on your way in about an hour or less. * You don’t even need an appointment.